MoDA’s Preventive Conservation Officer, Emma Shaw, explains how the magazine collection has recently become much more accessible to users. The collections of the Museum of Domestic Design and Architecture include some fantastic magazines dating from the early twentieth century. They are frequently requested by students and researchers because they are interesting from a variety of angles, including both their content and their typography and design. However, until recently it was difficult to allow people handle many of these magazines because they were simply too fragile. After all, they were printed cheaply on thin paper and never intended to be read nearly a hundred years later. In many cases the paper was discoloured, many had small tears, and the covers were frequently torn, creased and dog-eared. Some of the staples holding the magazines together were severely rusted, broken, or missing. The rust had stained and corroded the paper, causing holes and increased brittleness at the centre folds. As a result many cover pages had detached. MoDA’s policy is to try to make all of the items in our collections available for use in our Study Room by students, researchers and members of the public who visit by appointment. So we were keen to see what could be done to improve the condition of these magazines, and we made it a priority in the last academic year. 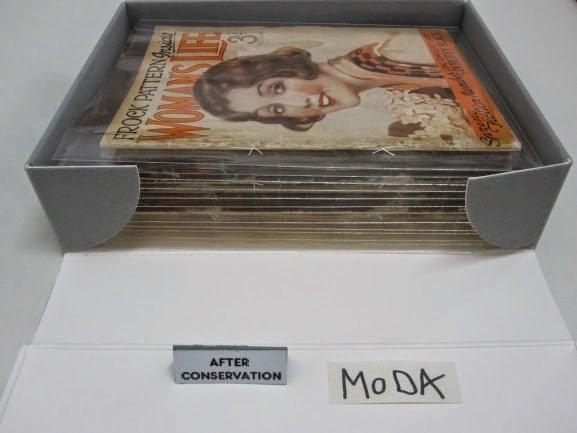 We’re delighted to report that twelve boxes containing over two hundred magazines were returned to MoDA this week after a labour-intensive program of conservation by expert paper conservator Sonja Schwoll and her team. This work makes the magazine much more accessible to users both now and in the future. They are all now robust enough to allow for handling in our Study Room according to our conservation guidelines, and available to students and researchers alike. We’re very pleased with the work Sonja has done and we’ll be aiming to get another batch of magazines from MoDA’s collections conserved in the coming year. And as it turned out, some of the magazines were immediately in demand the day after they returned from the conservator. Author Lynn Knight came to MoDA to carry out research for a forthcoming novel. 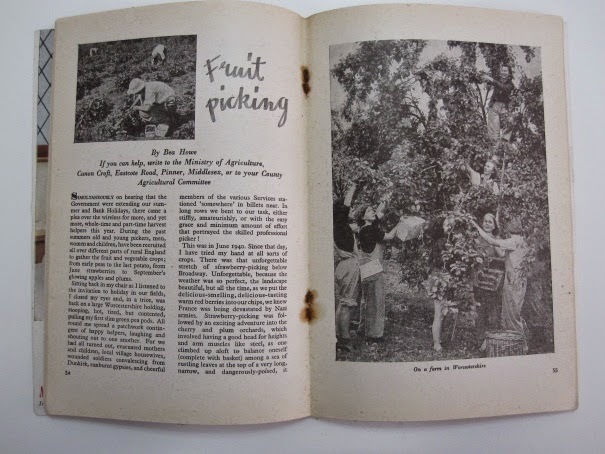 Among the things she wanted to see were copies of Woman’s Life and Housewife magazine from the 1920s and 1930s, two of the recently conserved titles. Thanks to the work undertaken, it was straightforward for Lynn to access this material, and she was thrilled to be the first MoDA researcher to benefit from the work undertaken. 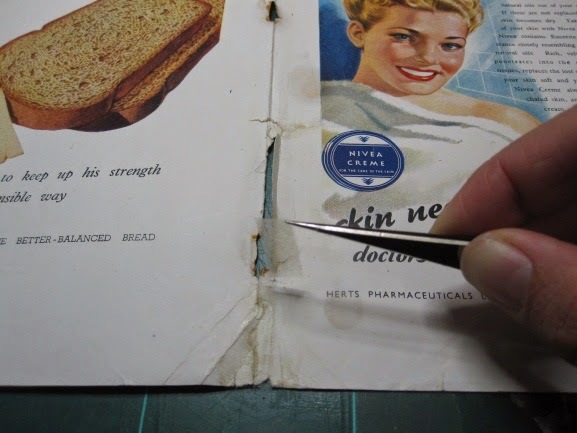 If you are interested in the techniques of paper conservation and want to know more about how Sonja and her team transformed these magazines from their previous dog-eared state, you can read the full report here. Posted in #Conservation by Mike on October 9th, 2014.